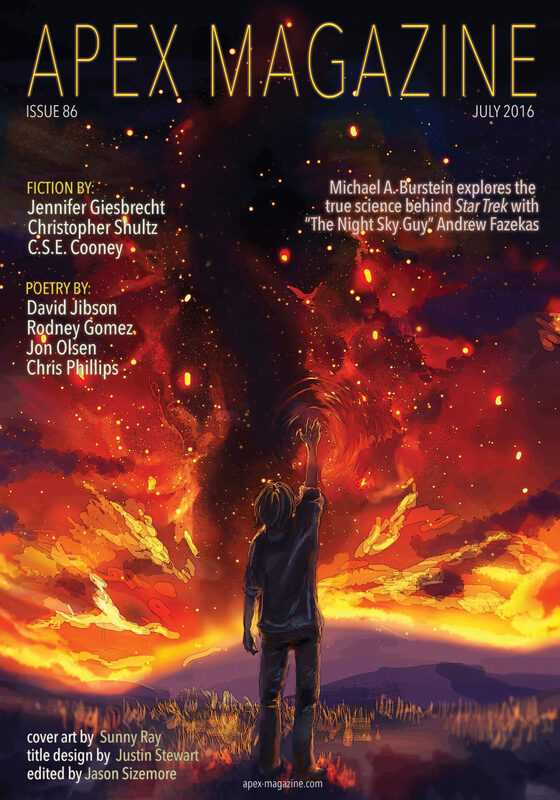 "Starpower," by Christopher Shultz [bio] (edited by Jason Sizemore), appeared in Apex Magazine issue 86, published on July 5, 2016. Pro: It's interesting that the story starts with the revelation that the song was lethal. The rest of the story is about exactly what happened and how the singer decides to take advantage of his ability. Con: I wouldn't expect the government (or the public) to leave the singer alone after this. Someone with that kind of power would almost have to be confined just for public safety. It's a bit odd that Marty was opposed to the suicide thing, and yet he's the one who put subliminal messages into the video.